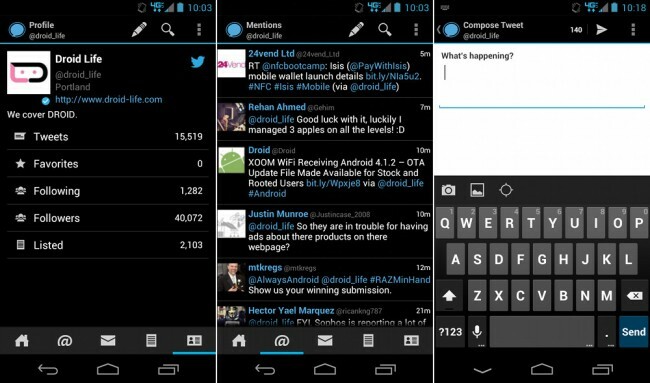 Echofon, one of the more popular iOS Twitter applications of all time, has been working on an alpha version of an Android app behind the scenes for a while now that we were just turned on to. In fact, the build is up to version 1.9 and was released over the weekend through their Twitter account. After installing it, it’s obvious that they have followed Google’s app design guidelines, as it’s completely Holo-themed. There are two theme choices in either dark or light, you can swipe between tabs with the touch of a finger, and multi-account support for the power users will soon be added (option shows, but is not live yet). 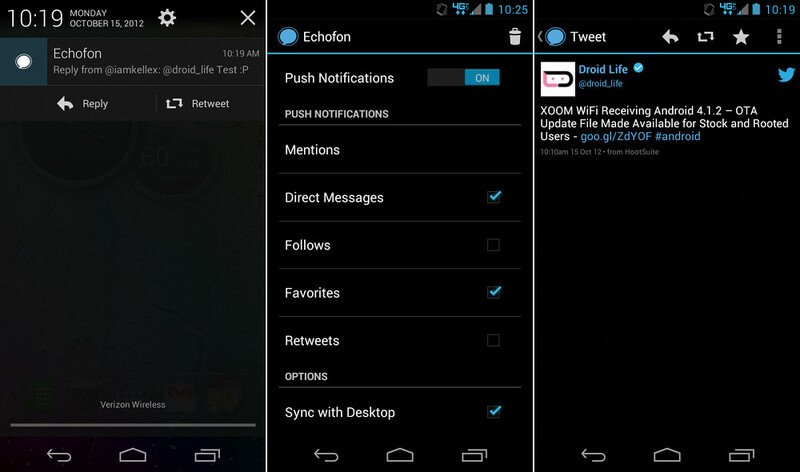 It has push notifications, notifications that work with Jelly Bean’s new notification bar, a variety of image hosting sites to choose from, and more. For being an “alpha,” this is a pretty impressive Twitter app. The only thing I’m not seeing so far, is conversation support, meaning you can’t see full conversations on Twitter. To install, simply download to your phone, tap on the file when it finishes, and install.